In 2014- 2015, Daisy was commissioned by Medway Council as part of the IN-SITE project. This project was a turning point for Daisy’s choreographic identity as she became interested in site-specific work and dance film. Through the project she developed a wonderful collaborative relationship with Nicola Flower,. The pair have continued to collaborate on The Great Thames Disaster project and continue to plan and develop work together. Daisy is also a freelance dance teacher. She is currently teaching on the Degree Programme at Bird College and the Learning and Participation Programme at Trinity Laban Conservatoire of Music and Dance. As a dancer, Daisy currently works for Loop Dance Company, creating and touring work throughout the UK. Daisy has also bee commissioned as an independent choreographer by Dance Fest, Trinity Laban and Loop Dance Company. Daisy undertook her training at Northern School of Contemporary Dance, graduating with a BPA(Hons) Contemporary Dance. 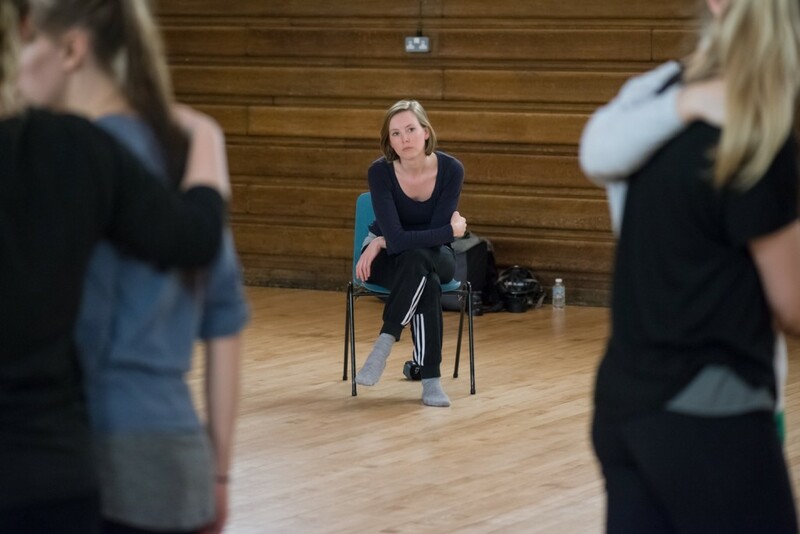 Daisy went on to join Transitions Dance Company at Trinity Laban, touring internationally work by Lauri Stallings, Augusto Corrieri and Tom Dale. She graduated from Trinity Laban with an MA in Dance Performance.